2016 is expected to be a year of huge dynamic changes in the digital world. Our technology is constantly becoming more advanced, as are our techniques. We know our clients’ needs are ever-evolving, and the audience’s desires change even more. That’s why we are always on top — and ahead — of new changes in the industry. Looking at past patterns and how it is shaping the road before us, we can see some of what is coming down the pike. Here are some of our thoughts on how digital technology works nicely with traditional PR strategies. Digital technology has become a vital part of traditional PR strategy, particularly when it comes to amplifying key pieces of earned media via social media marketing. 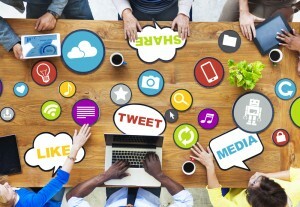 Social media platforms are constantly innovating to provide more in-depth analytics to help brands truly measure and quantify the success of important pieces of content, often turning them into opportunities for direct, interactive ROI with features like hyperlinked images, website pixels and mobile optimized advertising. Social media also gives brands the opportunity to take the guesswork out of content marketing, quantifying data to measure success and basing future campaigns off of these important analytics, creating an overall feeling of secure investment. We’ve now moved into a post-broadcast era, and this has huge implications for how we communicate. First, people will almost always seek information from digital channels before anything else. Second, the public increasingly expects (and receives) communications that are hyper-personal – a goal that can only be achieved with effective data and digital tools. Third, peer-to-peer influence is on the rise and frequently drives traditional earned media. Combine a well-targeted message with the ability to spread socially and we see digital channels shaping the narrative more and more frequently. A good example here is Bernie Sanders creating hundreds of millions of dollars of free press out of strong digital organizing, and launching a credible Presidential campaign without employing a single fundraiser. Digital HAS to be incorporated into any PR strategy in 2016. The world we live in is connected through social and mobile use by every generation. I believe we’re growing more and more towards this 1 to 1 relationship with a brand’s consumer. 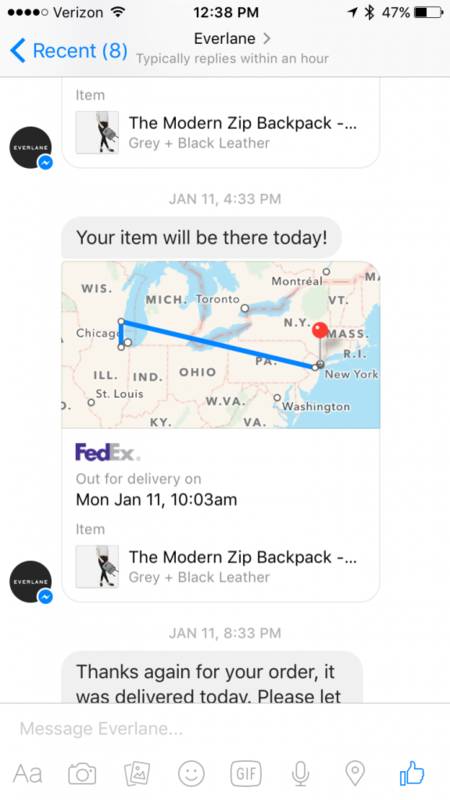 I purchased a backpack from Everlane and the entire customer service process from my receipt to shipping notifications was handled through Facebook messenger. There’s hints to major developments with Facebook messenger in April for brands to be able to do very creative things within the platform. But, it doesn’t end with the notorious Facebook. Messenger apps like Kik and Tango (remove which) are working with custom emoji developers to add an immersive experience where the emoji gives you a call-to-action to share. For example, sharing a Starbucks emoji opens an actual invitation to go grab coffee and share the location. No longer are we in the days of just . In today’s ever-changing PR and marketing landscape, the emergence of social media and new digital technologies has certainly disrupted traditional PR strategies but one fundamental principle remains the same: It’s still all about storytelling. In the past, brands would look to tell their stories through traditional media outlets such as TV or print, but now it’s about engaging consumers through social media to help tell their stories for them. New digital products such as Snapchat Live Stories and Twitter Moments are changing the game of storytelling and bringing consumers into the fold to share experiences and help brands tell their stories together. In 2016 and moving forward, I believe you’ll see this trend progress further as social networks continue to create and look for new ways to help brands tell their stories to more audiences. Obviously, we are marching toward an era where society no longer cares about the same old television and internet ads. Consumers want an immersive, unique experience that is not blatantly trying sell a product. They want something that clearly benefits them in a tangible way. And that’s no easy task for businesses to accomplish. Whatever comes our way this year, we are prepared for it, and you should be too. Rely on us to make sure your campaigns are adapting to these changes. For more information about DKC and what we offer, visit our website or contact us today.